Appearance: A beautiful shine with golden amber tints. Aromas and flavors: Slight, faint woody aroma, very ripe, slight candied fruit, apricot and vanilla notes. Texture and finish: Confirms the nose, well-balanced eau-de-vie, powerful and full-bodied. 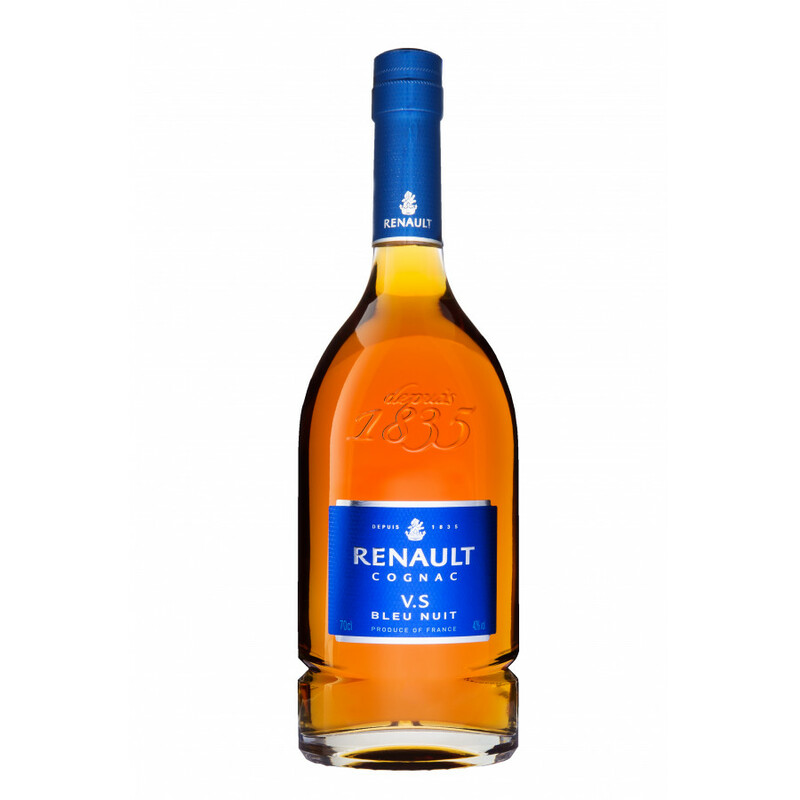 Renault Bleu Nuit VS Cognac is a delighfully fruity young cognac with hints of apricot, undertones of vanilla, and combined with a delicate woodiness. Despite its young age, the flavors and aromas of this expertly blended cognac make it suitable to taste in a variety of ways. Lovely as an aperitif, or perhaps combine with your favorite mixer to create a long drink. Plus it's a great cognac to add that special something to a cocktail. 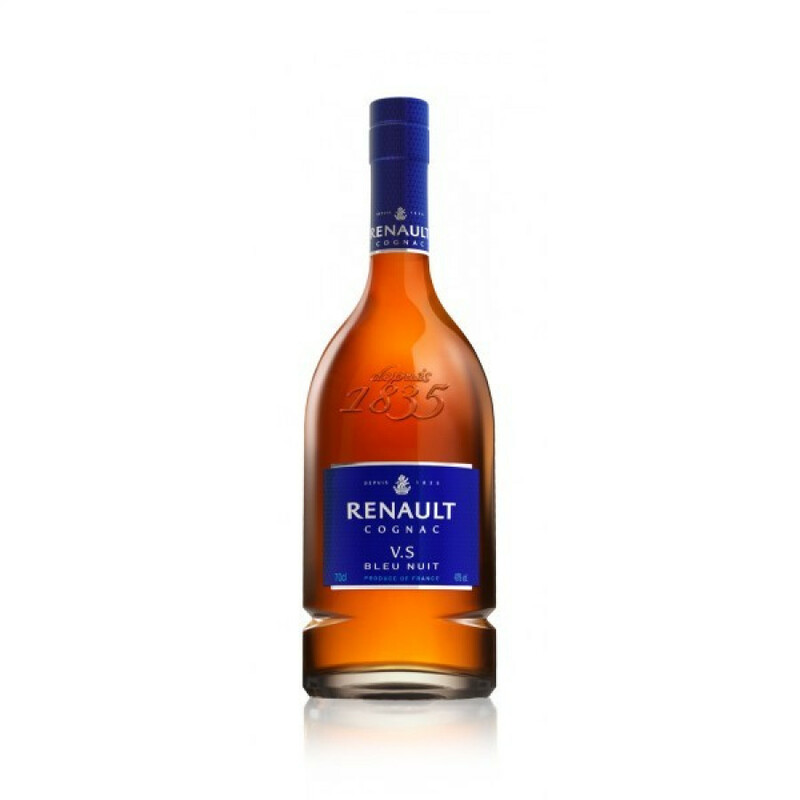 Versatile and offering great value for money, this is the perfect staple cognac to own.